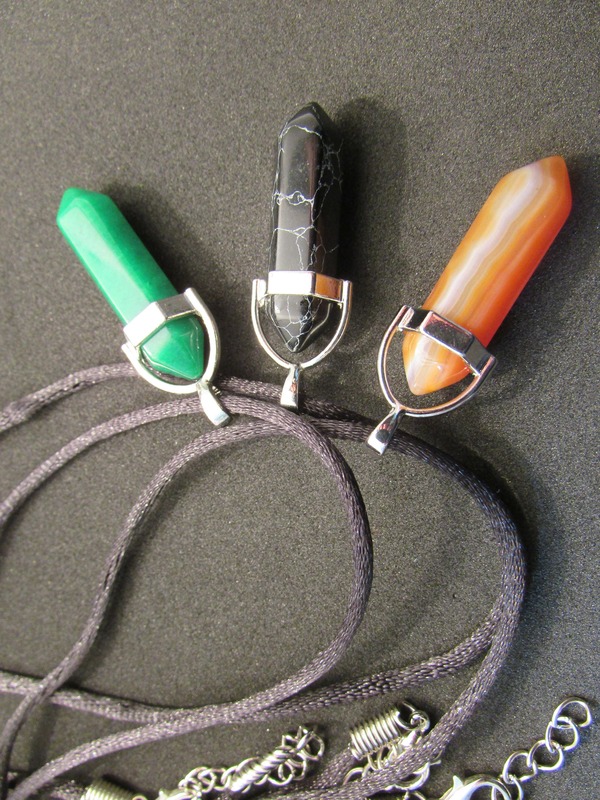 A trio of crystal-point shaped coloured stone pendants. 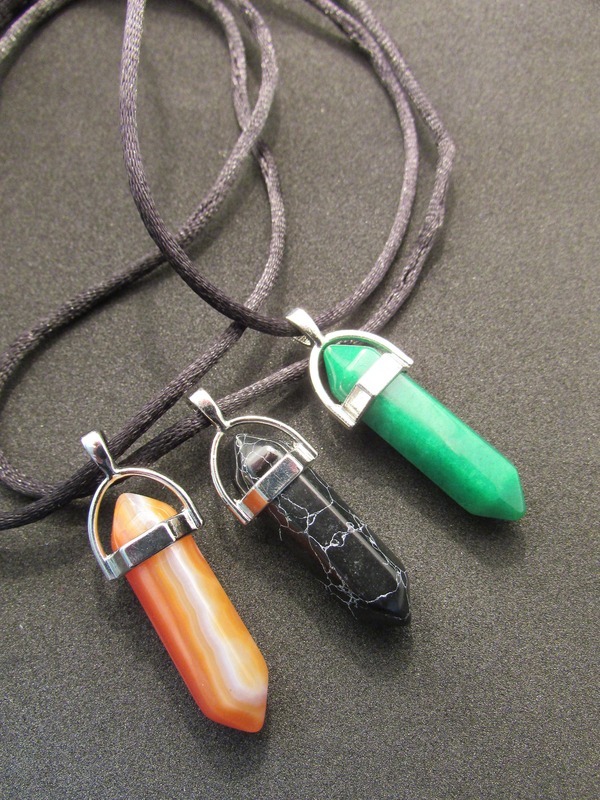 Each has different colour and veining characteristics that makes the unique. 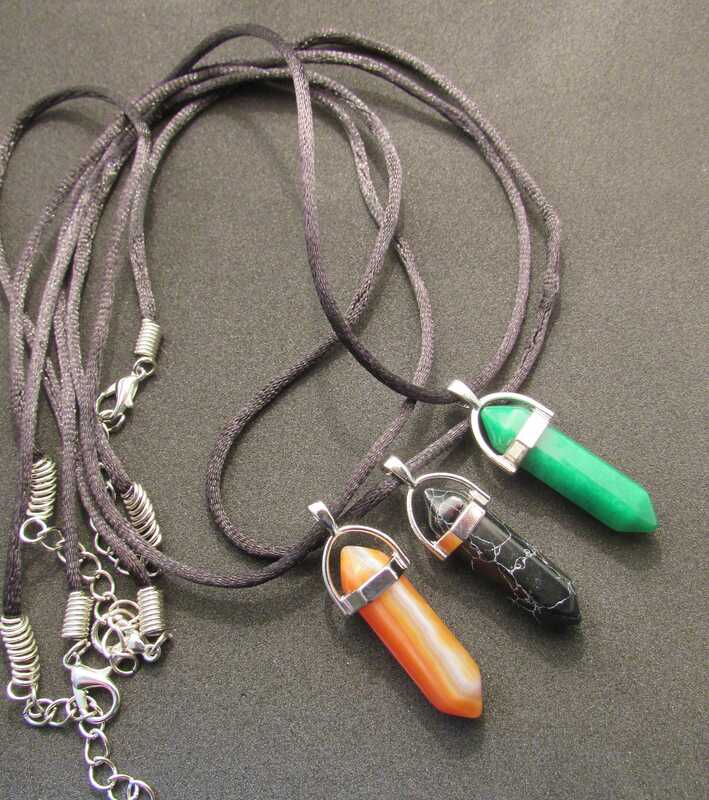 They have 50cm black silk cords with an adjustable chain. 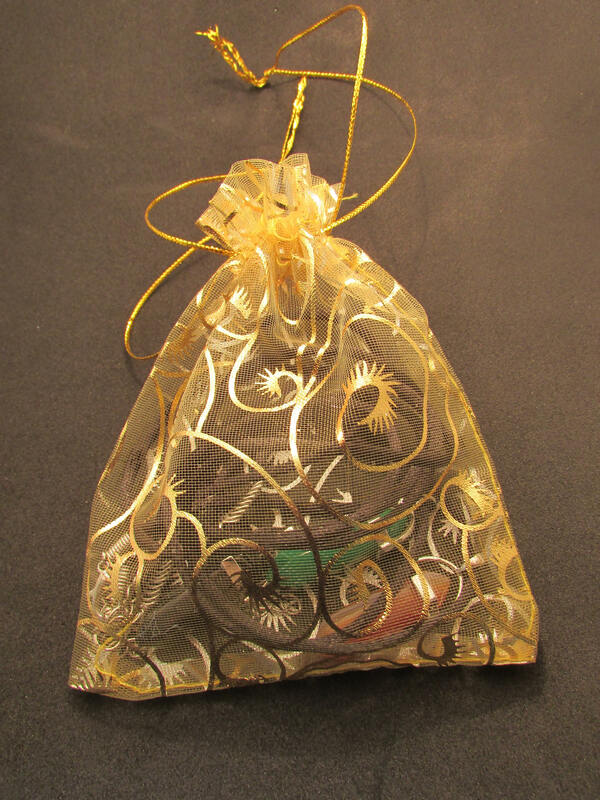 Arrives ready to present in a beautiful black organza bag. Sent by IE GlassWorks Penny Post - only one penny shipping worldwide!